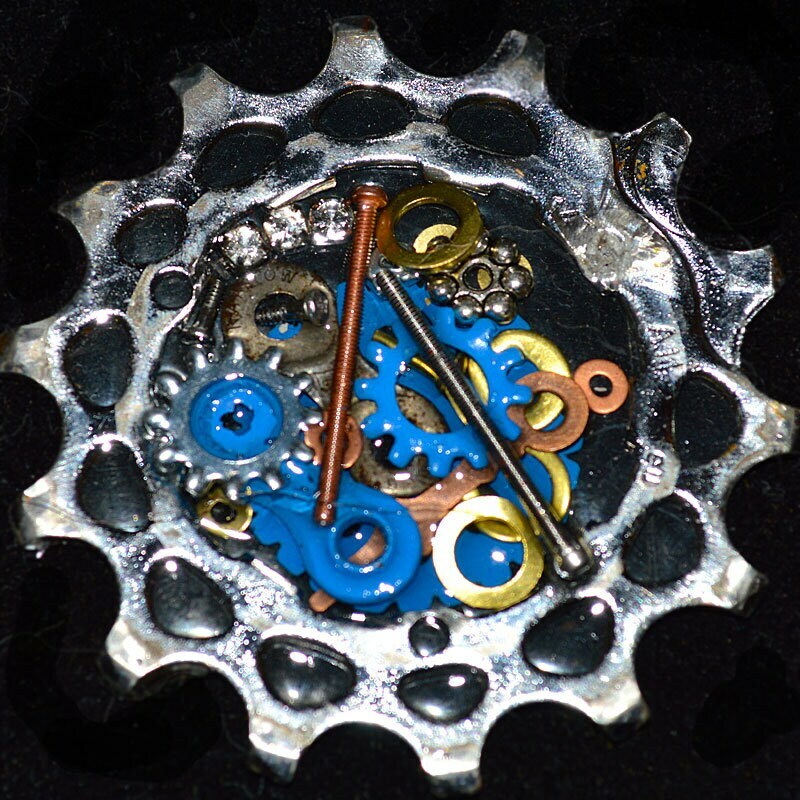 This Brooch is made from a recycled bicycle cog that I obtained from my local bike shop's recycling bin. It has been scrubbed clean and serves as the foundation for resin inlayed hardware washers, plumbing rings, and bike chain links. 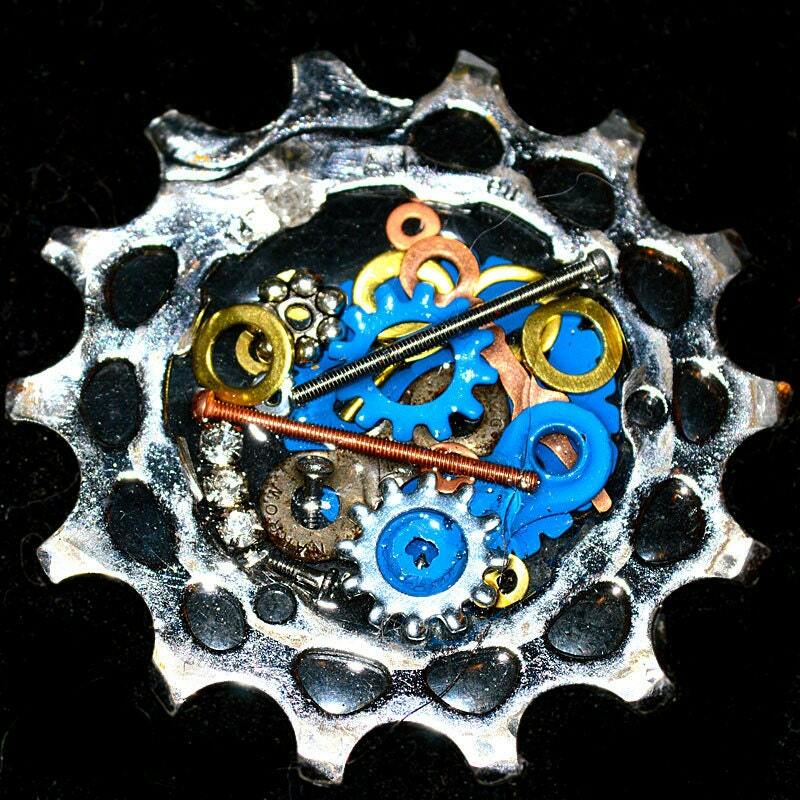 Both cyclists and fashion lovers alike will adore this bold and fun brooch. Pair it with any jacket, blazer, sweater or even a purse as an edgy and eye catching accessory.